Join City Club of Denver on September 28th for a debate of the pros and cons of ballot measures 60, 61 and 101. Natalie Menten from Colorado Spending Transparency will speak in favor of the measures; Kelly Brough, CEO, Denver Metro Chamber of Commerce will speak in opposition. Adam Schrager, Channel 9 News, will moderate. Greg and Kelly will each have 10 minutes to state their positions. Following their opening remarks, 45 minutes will be allocated to questions. Mr. Schrager will insure there is adequate opportunity for audience questions as well as for questions between the participants. The program will end with each participant having 5 minutes for closing comments. Natalie Menten is the volunteer campaign coordinat or for Amendments 60, 61 and 101. She is a Lakewood grasssroots community activist having recently led the petition drive to repeal the Lakewood grocery tax and assist property owners facing eminent domain. Kelly Brough was elected CEO of the Denver Metro Chamber of Commerce Board in August 2009. 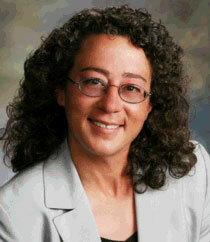 Prior to her selection she was Chief of Staff for the City and County of Denver. She had also served as Deputy Chief of Staff, Director of the Office of Accountability and Reform, Personnel Analyst and Director of Human Resources. Brough created the first pay-for-performance program for Denver employees. She holds bachelor's degrees in Sociology and Criminal Justice from Montana State University and a Master's of Business Administration from the University of Colorado at Denver.